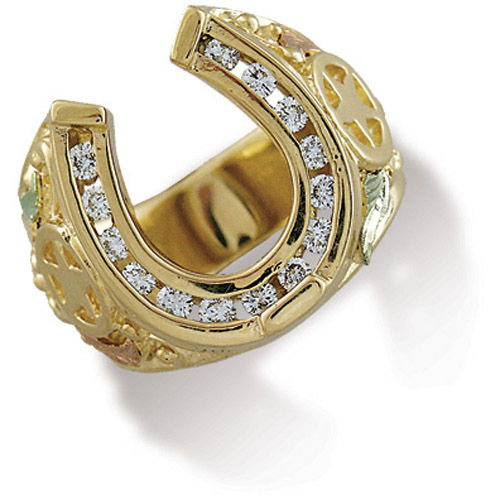 Desc: Landstrom's Black Hills Gold diamond horseshoe ring. The diamonds are channel set in the horseshoe. There are 0.70 carats total weight in the ring. Rose and green gold leaves are mounted as accents.